Q4 is here! The holidays are around the corner and everything is buzzing with excitement at the end of the year. This is the perfect time to circle back on your blog strategy for the last 3 months of 2017 and come up with some fun, new content for your audience. We're sharing some blogging tips and tricks in this post. Q4 is here! The holidays are around the corner and everything is buzzing with excitement at the end of the year. This is the perfect time to circle back on your blog strategy for the last 3 months of 2017 and come up with some fun, new content for your audience. Have you postponed hosting a giveaway for your readers? Or maybe you've had a fun topic idea in your back pocket for a few months but haven't found time in your editorial calendar to post it. Now is the time! Experiment with some fun, new content in Q4 to see what/ how your audience responds. Fact of life: The more you write, the more likely that content is to get buried. Re-purpose this content, link back to it in your upcoming posts, and remind your readers of those killer posts you curated earlier in the year! BAM. Your business blog is back in action. For example, say you're writing about some new sales strategies your team is implementing for the holidays. Did you share anything similar to this in year's past? I bet you did! Link back to it with a simple excerpt like, "Check out our tips from last year and discover what else you can utilize!" Bingo. Curious to know what your audience loved reading on your blog this year? Ask them! There are tons of survey sites available today, and some are free! Creating a survey is simple and you can hyperlink it within the blog post to make user completion easy. The survey results will pave a clear path to what content you should create more of in 2018. The inbound strategy is all about creating content that your audience wants to read, and no better way to discover what this content is than through an anonymous survey. 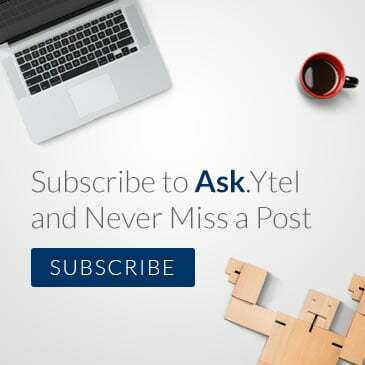 One of our goals for Q4 of the Ask.Ytel blog is to branch out from our typical graphics and share infographics, GIFs, video and more! We've talked about how video is the new frontier of marketing in other posts, and this still rings true. If you've been wanting to try other visual methods to share content and information on your blog, now's the time!